Import vs Domestic 6 event marathon for charity. Just thought I would add this under the event section. 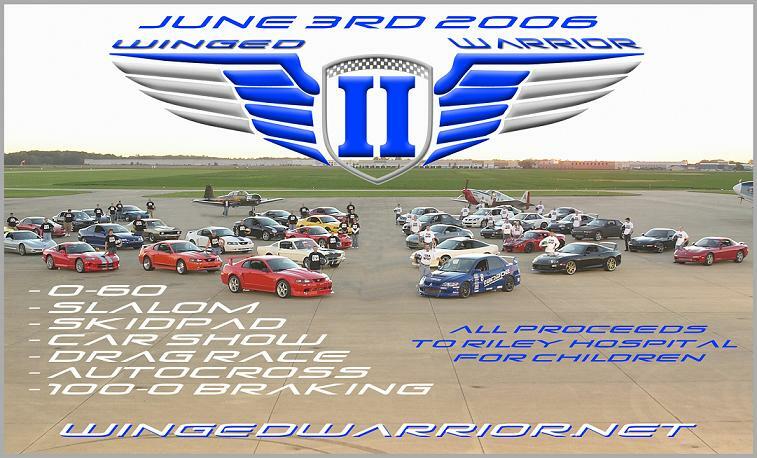 www.wingedwarrior.net ask if you have questions, I am the one who is throwing this "party" It will be in INDY area airport!!! Registration open on Thursday, BATTLEFIELD satellite photo is UP NOW! Go look! Quick Reply: Import vs Domestic 6 event marathon for charity.